Classes include a simple yoga practise to warm up the body, release stress and tension from the day and to get energy moving. Time is spent focusing the mind in a moving meditation or more traditional seated practise. Meditation can help you live life more fully, reduce stress levels and cultivate qualities such as acceptance, patience, and compassion. 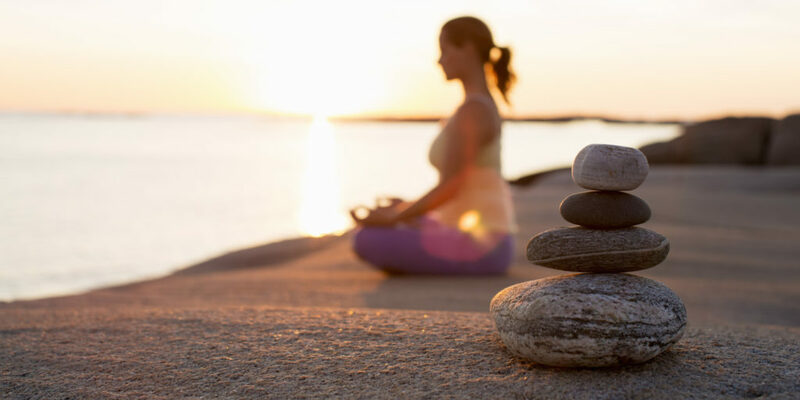 Meditation is a way of achieving a state of calm awareness of your body, your breath and mind. Classes end with savasana or a guided relaxation to seal the peace and ease cultivated though the class. Beginners and experienced practitioners are welcome. Equipment at the studio is supplied for your use, however if you have your own mediation cushion/stool you may wish to bring this along. Please wear comfortable clothing, such as tights or loose pants that enable you to move freely and sit without distraction.